It has been apparent for years that a new wave of technology is coming, and there is no stopping it. I always assumed that meant that our vehicles would change, but our tried and true ways of customizing them would stay the same. I was sorely mistaken. 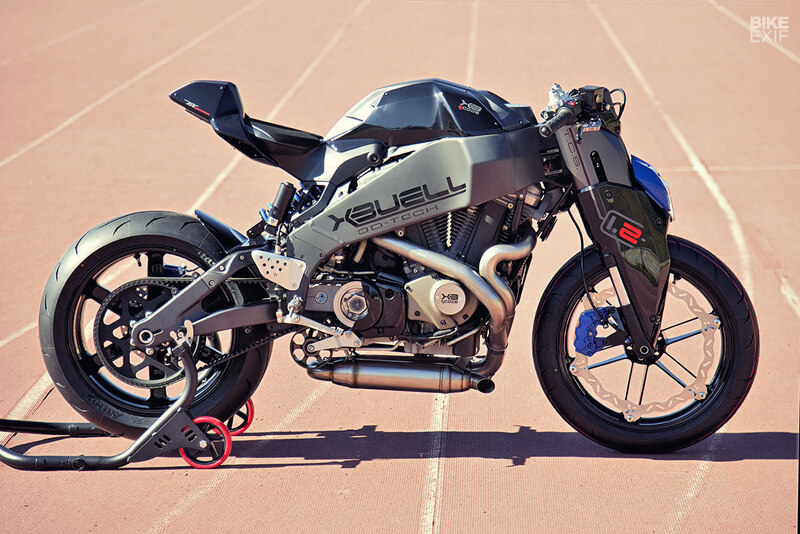 I would like to introduce to you the X-Buell from Tex Design. 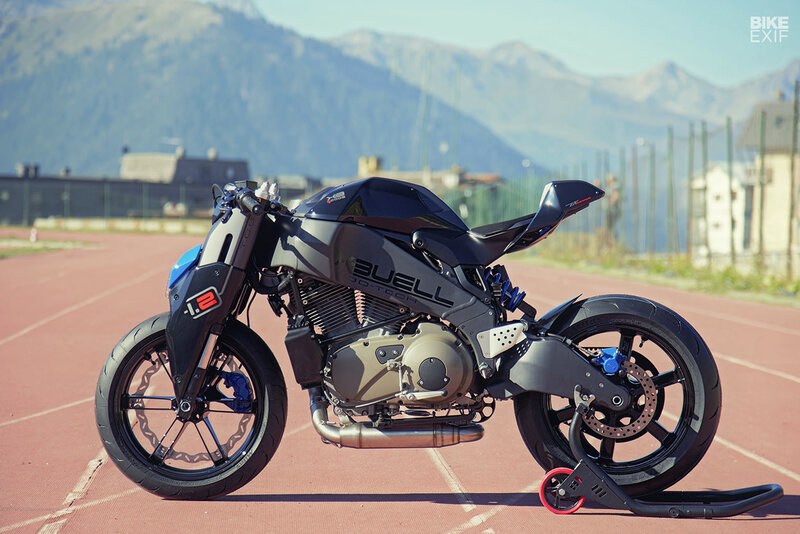 The X-Buell is one of the first of its kind; a bike custom designed and built exclusively using CAD and a 3D printer. That’s right, no English wheel, no hammers or planning tools. Just a man, his computer, and some absurdly cool tech. The result is a motorcycle that is completely unique. 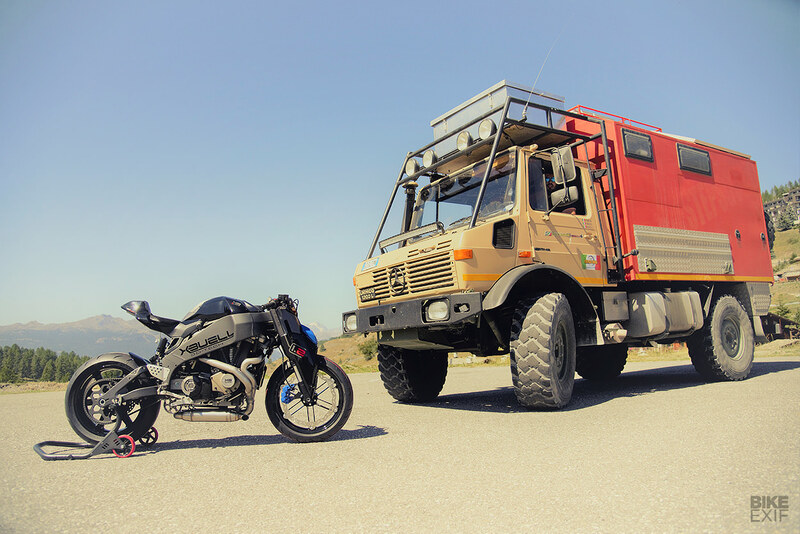 Paolo Tesio, who goes by Tex, is an Italian automotive designer by day, and two-wheel hobbyist by night. While his 20-year stint in the automotive world speaks volumes to his talent, his bikes do so in a shorter time frame. His latest work started as a barebones Buell XB12 Firebolt. Tex says, “For a long time I’ve been trying to get on the American twin-cylinder. I’m fascinated by its exaggerated proportions and its strong personality. It’s full of (more or less) logical and functional innovations”. It’s funny how we become obsessed with things that are so foreign. Personally, I wouldn’t touch a Buell unless you paid me, but I’m sure there is some obscure Italian bike that Paolo would feel the same about. Either way, once Tex got his hands on a Firebolt he started the argues design process. 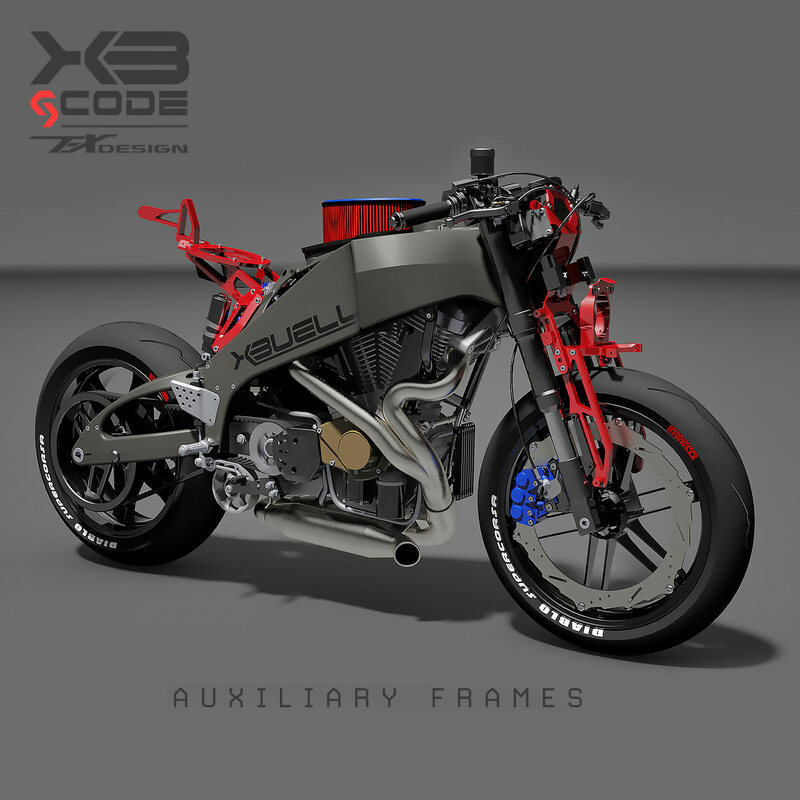 While the old school train of thought was to get out the pen and paper, sketching every design, Tex didn’t do that, instead, he scanned the Buell into Autodesk and started manipulating the 3D rendering. The design and development process took an entire year to get dialed. Not bad for an after work project. “It was necessary to 3D scan every single element of the bike down to the smallest detail, to avoid any surprises during assembly,” Tex says, showcasing just how involved the rendering process was. Tex points out how incredibly complex a motorcycle can be, saying, “On a motorcycle, style and functionality go hand in hand—every aesthetic element must be in perfect harmony with the mechanical one, and vice versa. 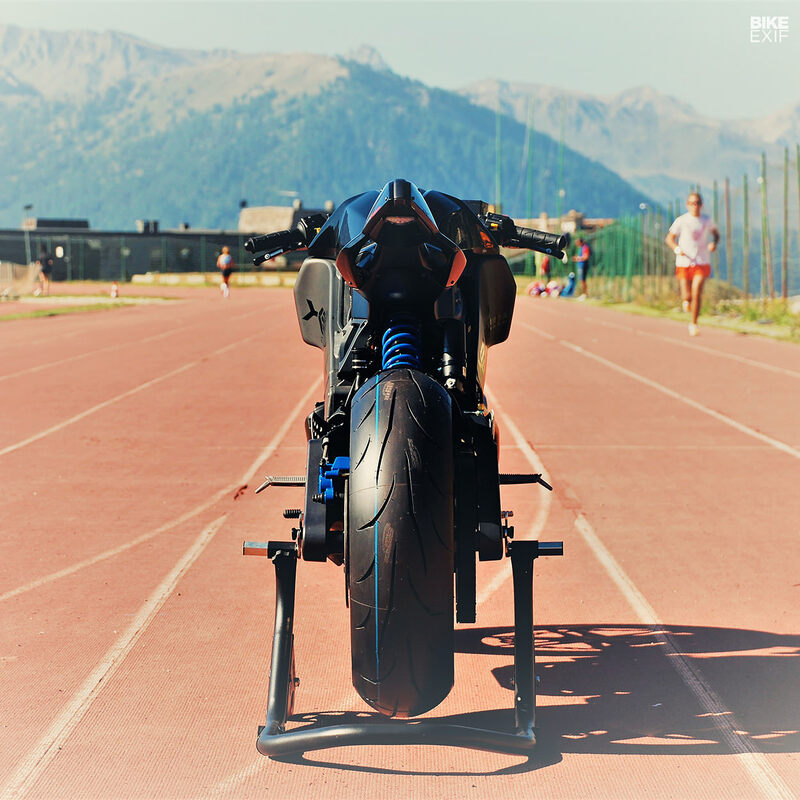 Not surprisingly, the Buell’s superstructures are all extremely tight and perfectly paired with each other.” Once it came to putting the pieces together the remaining process took another 6 months to complete. Tex started by producing parts with his I3D Playmaker 3D printer. For the structural parts he couldn’t produce, Tex had a CNC machinist construct them from Aluminum using his designs. The results? 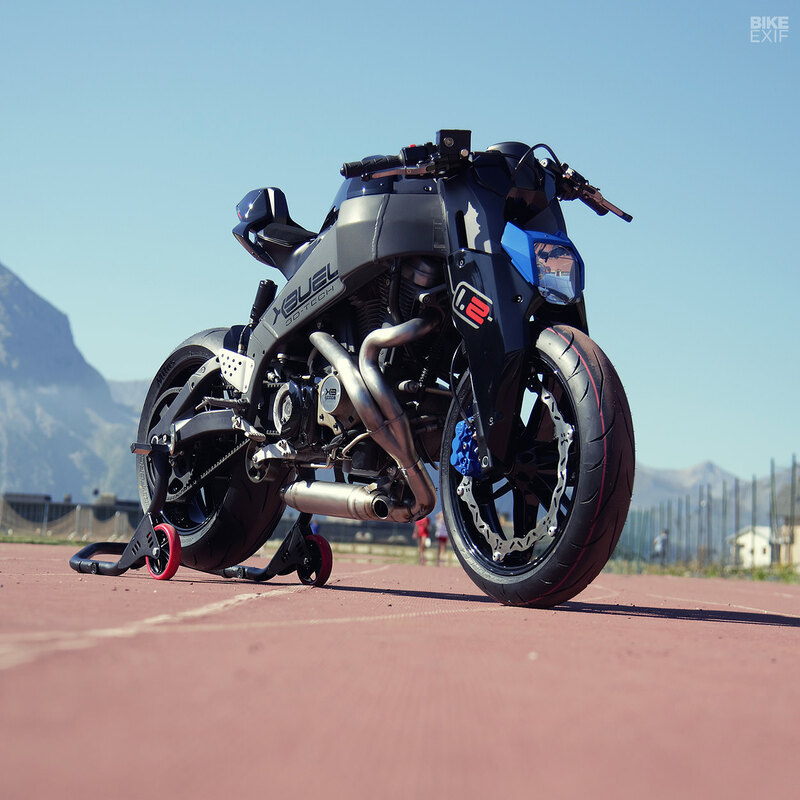 A radically different bike than your standard XB12. When it comes to chassis and engine the bike is bone stock. But when it comes to styling, Tex has given the X-Buell a radical new persona. The tail section is about as small as it gets, yet still functional, providing a home for the new ultralight battery. Because the Buell is designed to house its fuel in the frame, the ‘tank’ serves as little more than an airbox. Tex redesigned this, making for better airflow as well as a much sleeker look. 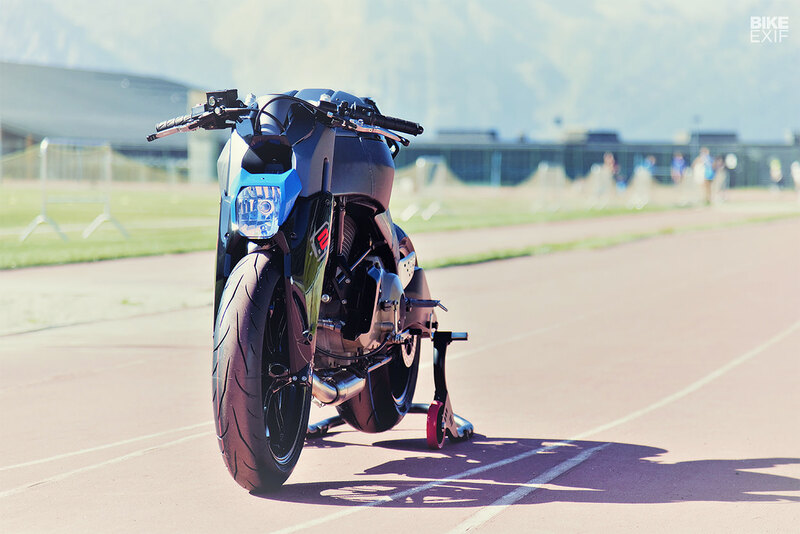 The front fork shrouds are the most drastic modification to the entire bike. Tex wanted da low mounted front headlight, so he designed a custom aluminum frame that mounted the headlight just above the wheel. The system is designed to move with the suspension, making the light stay just inches above the Mitas tire. With the system in place, Tex found a Husqvarna 701 headlight and then proceeded to construct custom fork shrouds that beautifully match the massive frame. 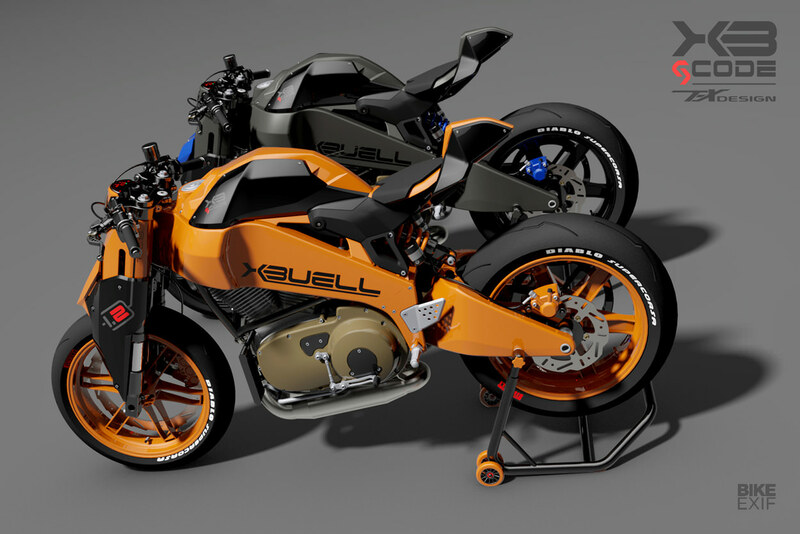 With some subtle paint and stickers, the X-Buell was born, looking as sharp in person as it does in renderings. The only missed opportunity in my book is that Tex left the wheels stock. It’s not that it needs something flashy, it’s the fact that Buell didn’t match the styles front to rear, possibly one of the tackiest looks in the industry. It may be a hard pill to swallow, but this really is the future of technology, and the future of custom builds. Tex says, “There is no waste of material, and if you’ve done a good job with your design, everything comes back without any surprises. It’s the future in the design field.” And I have to agree, that is definitely impressive. The other benefit is now that the bike is built, all the parts can be recreated with ease. And each part is a bolt on accessory, making it easier for everyone to enjoy their ‘custom’ Buell if they so choose. While the system will likely never replace the old fashion craftsmanship of yesterday, it will definitely be a viable option for customs of tomorrow. Simply amazing project… Nice to stay look for a long time like a monument… I have a Buell Firebolt XB12R model and still stopped for a long time because I’m without work a long time… One day I will contact you to help me customize like your… I repeat what I said… Amazing project… How much I need to customize my Firebolt…? Very thanks…! God bless you…!